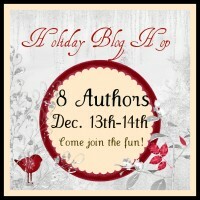 The 2011 Holiday Blog Hop was a lot of fun. Thanks for everyone who participated. All the entries are tallied up and Random.org chose its winner…..
Congratulations, Jennifer. You’ve won eight e-books and a $40.00 Amazon gift card! You have ten (10) days to contact me to claim your prize (lynnrush @ cox.net). This entry was posted in Giveaways and tagged Amazon, Caridad Pineiro, Ciara Knight, Jean Murray, Kendall Grey, Lisa Kessler, Lynn Rush, Paranormal Romance, Rachel Firasek, Rebecca Zanetti by Lynn Rush. Bookmark the permalink. Congratulations to Jennifer! Thanks to all who participated.